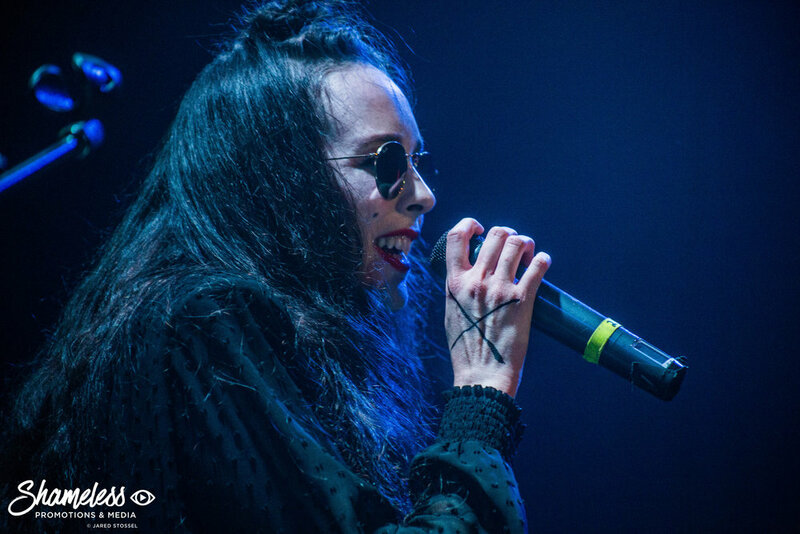 Allie X performing at Rickshaw Stop in San Francisco, CA. August 22, 2017. Photo Credit: Jared Stossel. 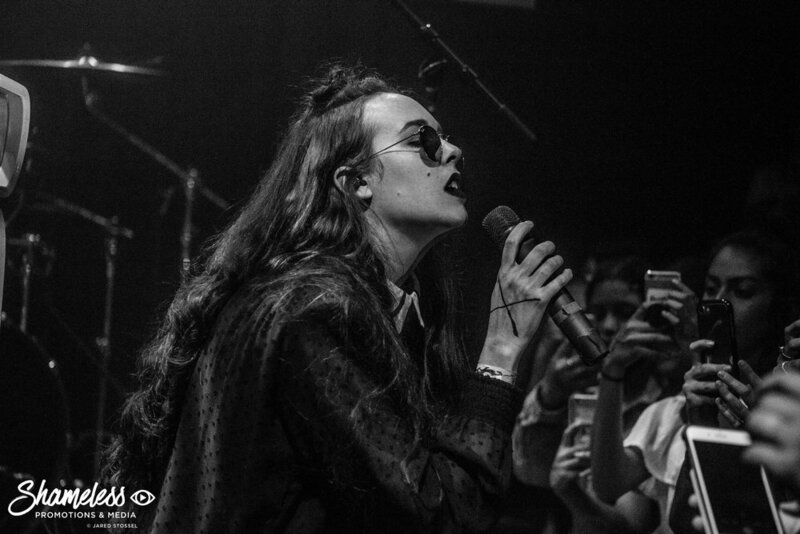 Photos and words by Jared Stossel. 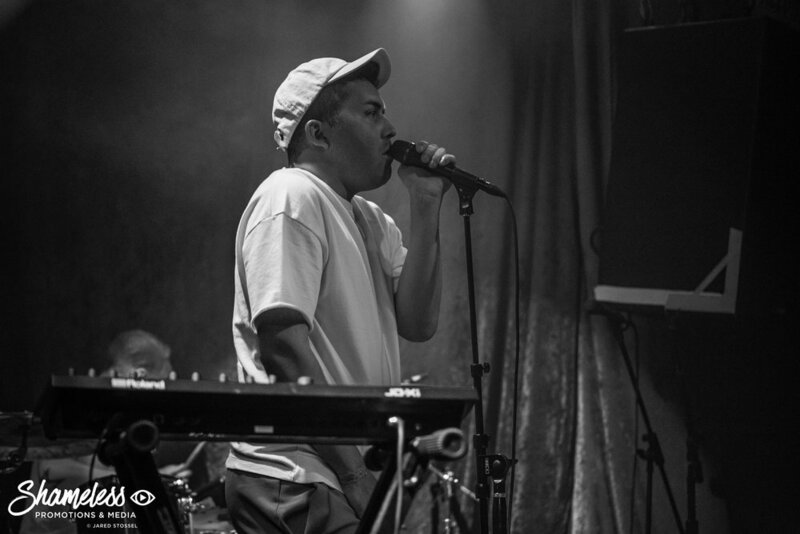 While I love the intimacy that smaller venues like Rickshaw Stop allows patrons, with plenty of space to move around while watching the acts of tomorrow build up their live performance chops and introduce themselves to a new group of fans, I can't help but love seeing when a smaller venue is packed. It means that an artist is really starting to make waves, and said waves are big enough to bring fans out to their venue on a Tuesday evening, knowing that the show more than likely won't even start until after 10 PM (and on a work/school night!) 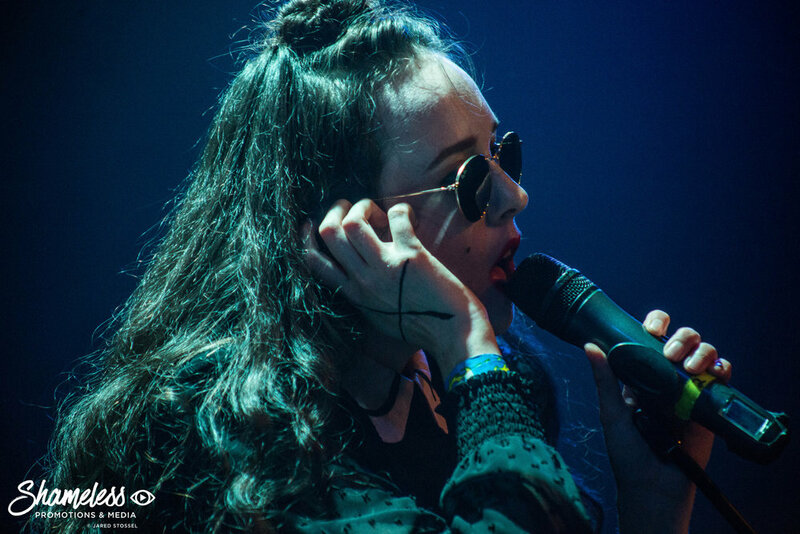 Such is the case with electro-pop's Allie X. Singer-songwriter Alexandra Hughes (better known by her stage name Allie X) is touring in support of her debut studio album, CollXion II (pronounced "collection"), a synth-pop fueled adventure through the cavernous and dark worlds of love and heartbreak. The great thing about a show like Allie's, at this stage in her career, is that it's not too short, but it's not yet too long. 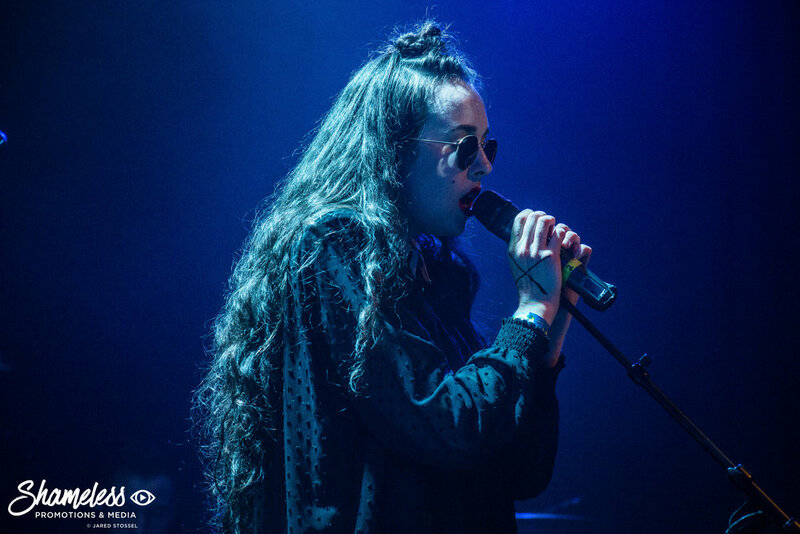 She released an EP (CollXion I) back in 2015 before releasing the album two years later. 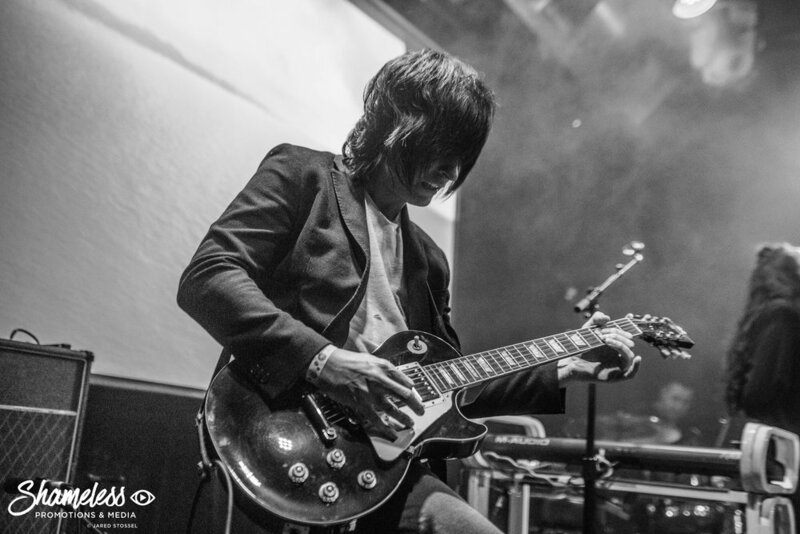 With a setlist that featured thirteen songs, pulling enough material from each release provided an eclectic evening of material. None of her songs are monotonous or droning; every song offers a uniquely catchy hook, subject, and chorus, with the overall tone somewhere on the border between the electronic pop-fueled world of today and the new-wave tinged eighties music of decades past. 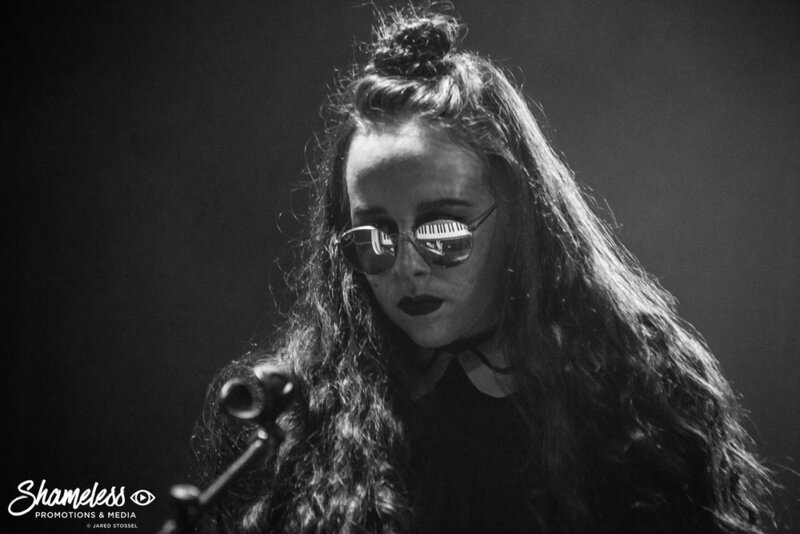 Additionally, for an artist that is able to produce sounds that almost seem riddled with hours of production, Allie X's live set is surprisingly minimalistic. It's just her and her synthesizer, along with a guitarist and drummer to help fill out the live sound. It amplifies the energy in the room that much more during the booming choruses and vocal hooks, all of which are sung back by the crowd in overwhelming unison. 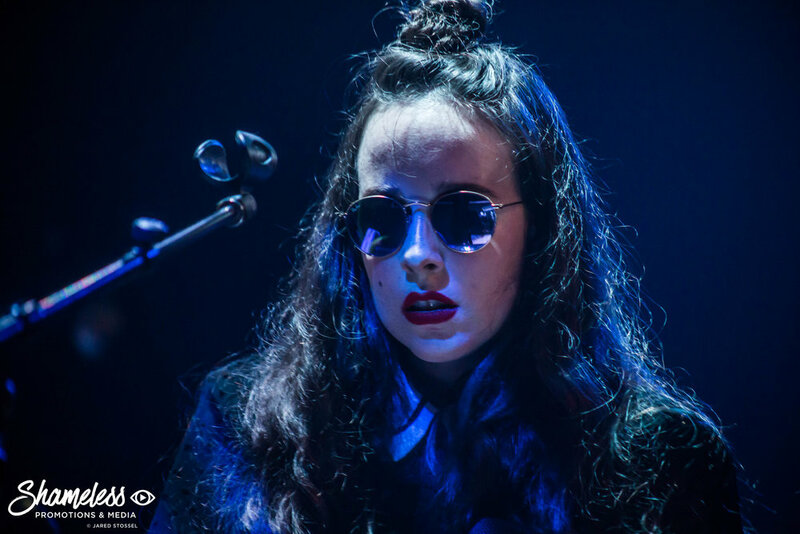 Allie X is indeed an artist that should be on your radar, and one to catch next time she is in the area.